I lived across the street from my elementary school and was allowed to go home for lunch. On most winter days my mom would have a warm mug of Progresso Soup waiting for me when I walked in the door. Sometimes it was the Lentil or the Clam Chowder, but most of the time it was Chickarina. It is my kids' favor soup. My son can live on it and both of them ask for it when they are sick. I told my kids about my game and they said, "Wow, that's what kids did before they had iTouch?" Yeah, it was called, "Imagination." So my kids didn't take up my game, but they did take up my love of Progresso soup. 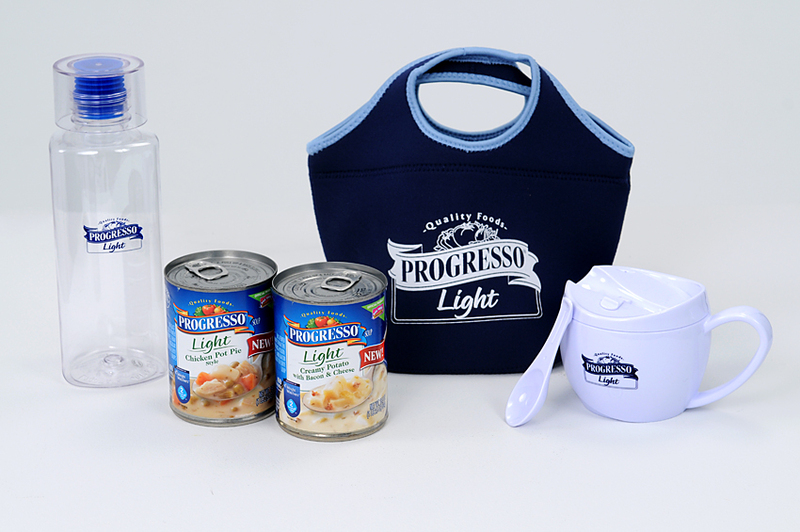 That is why I had no issues when MyBlogSpark asked me to review two new light Progresso soups. First we tried Progresso Light Creamy Potato with Bacon and Cheese Soup. My whole family thought the consistency was creamy but not clumpy and heavy. We all liked the bacon bits and potato chunks... but we felt that Progresso needed to reduce the smokiness of the soup. The smell was too strong. With that little tweak we would buy this soup. My husband and I shared the Progresso Light Chicken Pot Pie Soup for lunch this afternoon. We both expected the soup to be thicker because it was called "chicken pot pie." I didn't really taste the cream in the soup; it just tasted like a nicely seasoned chicken soup. All of the vegetables were tasty and firm and the flavor was quite good for a light soup. In addition, visit http://goo.gl/WbbPS to download a printable coupon for $1.25 off the purchase of 4 cans of Progresso® soup. Be sure to share this coupon with your family, friends and readers so they too can take advantage of the savings and try Progresso Light creamy soups today! It's great that Progresso and many other companies are trying to come out with healthier foods, but I try to stay away from all processed or pre-prepared foods. To have the healthier options when you are pressed for time is nice though. I agree I keep a few cans of Progresso soup in the pantry. Great to have if I run out food for lunch. that sounds like a really fun game you made up! I'm glad someone likes it. My kids think I'm silly, but they would no matter what. Yay! Thanks so much! I can't wait to get my Travel Soup Gift Package! Thanks so much for hosting this great giveaway! Happy Dancing!